Manila, Philippines - As Filipinos prepare to join the Earth Hour 2014 on Saturday, March 29, from 8:30 to 9:30 in the evening, Senator Loren Legarda today emphasized the importance of the campaign which highlights "small acts can create big, significant changes." Legarda, Chair of the Senate Committees on Climate Change, and Environment and Natural Resources, said that oftentimes people are overwhelmed with the gargantuan task of protecting the environment, without realizing that the small acts ignite greater action and result in significant achievements. "The Earth Hour started in Sydney, Australia in 2007. The following year, the World Wildlife Fund (WWF) launched the international Earth Hour. More than 400 cities in 35 countries, including the Philippines, joined the campaign. Now, more than 7,000 cities are involved. We only have to take that one important step, which is to take action, to save and protect our planet," said Legarda. According to the WWF, the Earth Hour campaign started by encouraging cities and communities to turn off their lights for one hour during the designated date of Earth Hour. Since then, homes and communities went beyond the hour or have taken greater action towards the protection of the environment. Legarda noted that the Philippines has been regarded as an Earth Hour Hero Country for registering a high number of participating towns and cities and for its staunch support to the campaign. In 2009, 647 cities and towns in the Philippines and an estimated 15 million Filipinos participated in the Earth Hour, saving 611 Megawatt-Hours of electricity during the one-hour period. In 2013, records from the Visayan Electric Company in Cebu alone showed a reduction of 11 MW during the time of the event. 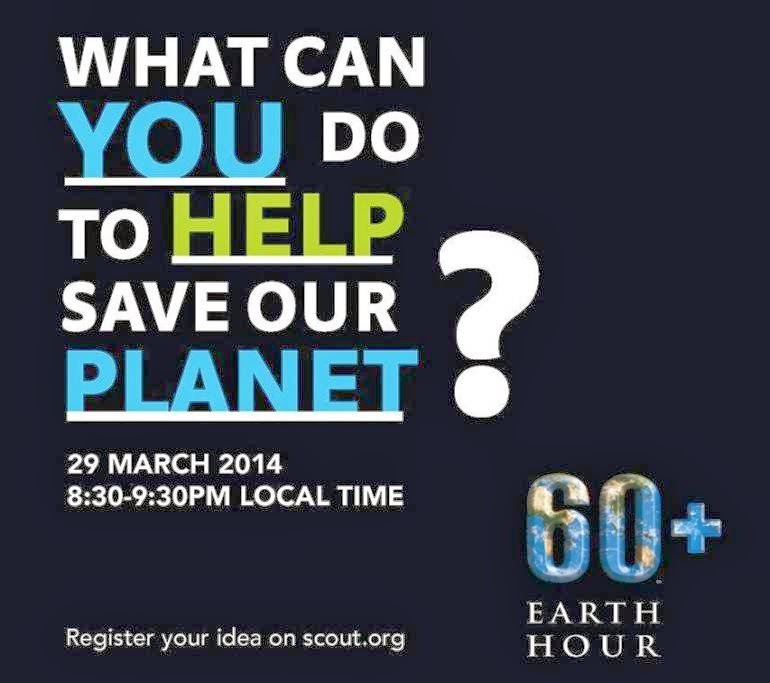 "The Earth Hour campaign shows us what each citizen can do. It tells us that every individual is capable of protecting our planet. Small acts cannot be underestimated because these small acts, when put together, create big change. Saving on electricity, using low carbon technologies, conserving water, eating local food, planting more trees, these are just some of the simple ways by which we can significantly contribute to protecting our Earth. The results of Earth Hour are clear enough to show what people can do when we work together," Legarda stressed.